This project started in August of 2000. An old friend from high School Brian Beun who was quite an adventurer invited myself and 3 other buddies from our high school class of 1954 (Wayne, New Jersey and our wonderful Wayne High School) to "Resort Sit" with him on the Island of ambergris Caye in Belize, Central America. Well, it didn't take long for us to make up out minds to get to Ambergris Caye where Clint Bradley, Bob Powell, Bill (Pat) Quinn and myself (Bernie Griff) to soon be sitting at The Beachside Hut sipping a cool drink and laughing up a storm as will happen when old friends meet! I had brought down with me a mini Recording Studio and it wasn't long before "Capricorn Recording Studio was up and running. 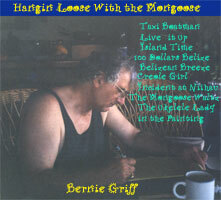 I wrote 4 songs while on this Island including: CREOLE GIRL, BELIZEAN BREEZE, 100 DOLLARS BELIZE and TAXI BOATMAN. On Kauai I wrote ISLAND TIME, on the Big Island - Hawaii I wrote The MONGOOSE WALTZ and LIVE IT UP, for Maui I wrote THE UKELELE LADY IN THE PAINTING and for the Island of Niihau just off the coaast of Kauai came the inspirition for INCIDENT AT NIIHAU. 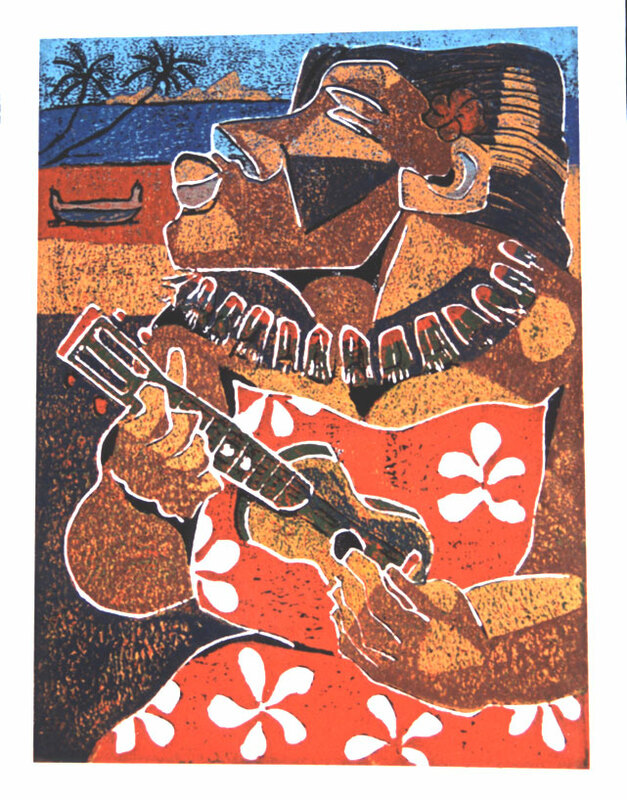 I dedicated the song THE UKELELE LADY IN THE PAINTING to artist Avi kitiaty from Maui. I had come to just delight in getting one or more of his shirts each year traveling to Hawaii (each shirt has a name and is based on one of Avi's paintings). I bought a print of Avi's year 2001, and it was a lady in the painting playing the ukelele...the painting just took me for a ride to the past somewhere and out came the song. Thanks Avi for the ride!